FSFL: Why does the LM002 Exist? If you haven’t seen Doug Demuro’s review of the Lamborghini LM002 stop reading and watch it now. Back to the topic. 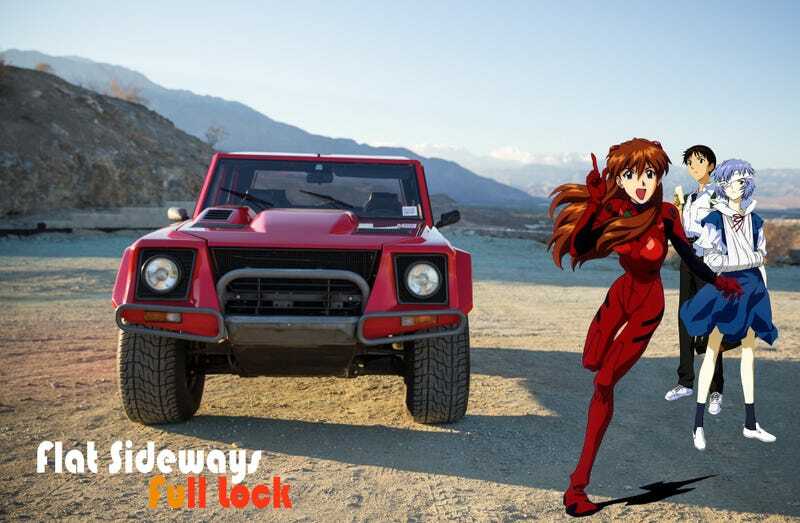 Why does the LM002 exist and why particularly do people feel inclined to include the 00's when saying the name. Well, that should obviously tell you that the 2 in 002 means it’s the second of something, but what. Well, let’s find out. We’ll have to go back to the Vietnam war when the US military was looking for a modern replacement for the aging Jeep CJ’s. Historically, we all know that the military ended up picking the AM Generals HMMWV... erm Humvee. But who would pick one of those over a Lamborghini? Well, it’s not that easy and The LM001 as cool as it was wasn’t ideal. The late seventies saw AM General and Lamborghini put forth vehicles for potential deployment in Vietnam. Lamborghini developed three different vehicles for potential deployment. The Us government only saw two in the flesh, the LM-001, and the LM-002. This vehicle in true Lamborghini fashion was powered by an AMC V8, placed in the rear of the truck. That setup caused some issues. The LM-001's rear engine caused instability during off-road testing resulting in Lamborgini completely redesigning the chassis of the LM from a rear engined frame to a traditional front-engined design. The LM-001 was powered by an 180 HP AMC V8, but when they redesigned it into the Front engined spectacle it is today it had the V12 from the Countach. and I think it’s not hard to say that the government probably saw that as another expense when it came to picking a suitor. thus they ended up picking the Humvee. Personally, I find it weird when people call it the LM oh-oh two. when in retrospect it’s just the LM-2. That’s about it. Lamborghini didn’t give up on the LM project because they put the sucker into production and took it racing. It’s a happy story regardless because people still ended up buying them for the duration of their production. Not as much as an allotted annual government contract would have been, but that’s ok.
I’m posting this link to another article I wrote for a class assignment because I paraphrased this article from it.